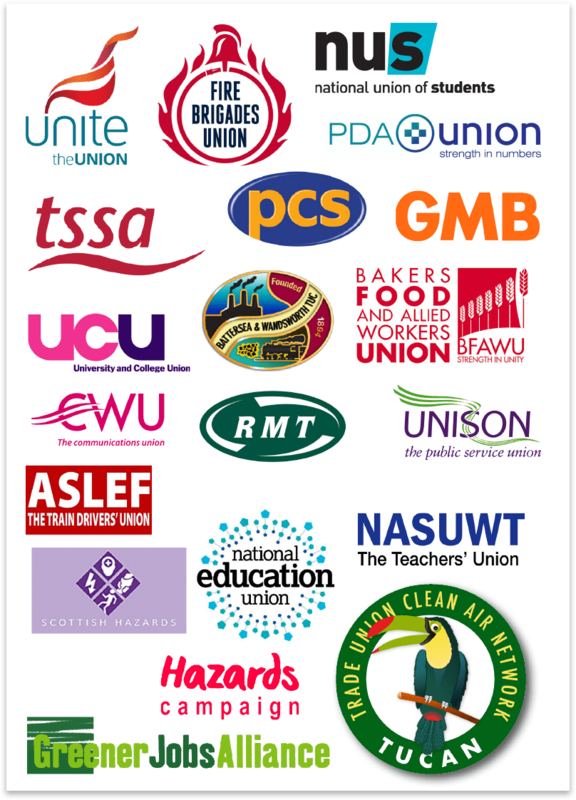 The GJAis pleased to report that 13 national trades unions representing the bulk of TUC membership have signed up to the Trade Union Clean Air Network (TUCAN) Charter. The GJA will be promoting the charter at union conferences around the country. We will also be co-ordinating a range of initiatives aimed at highlighting workplace exposure. Unions at local level, are also challenging the lack of effective action in local communities as this press release from Battersea and Wandsworth TUC illustrates. The GMB and Unite are scandalised that the bulk of a £2.8 Billion Offshore Wind contract has gone to manufacturers in Belgium, Spain and the United Arab Emirates. 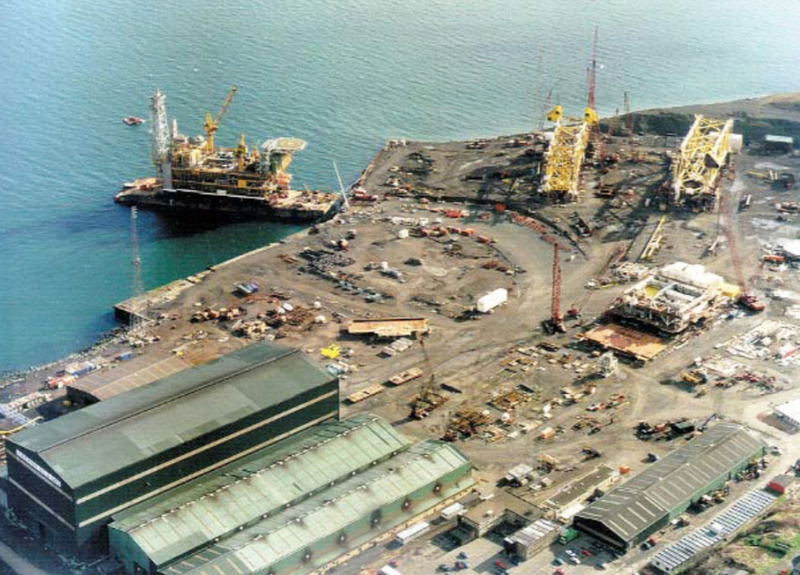 The decision leaves BiFab construction yards in Fife ‘empt- handed.’ Burntisland Fabrications (BiFab http://www.bifab.co.uk) has two plants in Fife and one in the WesternIsles. BiFab trade unions GMB and Unite are calling on the First Minister and the Scottish Parliament to intervene. GMB Scotland Secretary, Gary Smith and Unite Scotland Secretary Pat Rafferty said: “Ten years ago we were promised a ‘Saudi Arabia of Renewables’ but today we need political intervention to help level the playing field in Scottish offshore renewables manufacturing. ‘The truth is that state-funded European energy and engineering firms, backed by Far East finance and Middle East sovereign wealth funds, are carving-up thousands of jobs and billions of pounds from our renewables sector, and firms like BiFab are left fighting for scraps off our own table. Unions say that despite the best efforts of BiFab’s Canadian owners DF Barnes, the firm cannot realistically compete for major contracts on the basis of cost against European and international competitors who are heavily backed by state subsidies and sovereign wealth funds. Union are demanding an inquiry to identify the barriers which have prevented Scottish based firms from capitalising on a renewable manufacturing bonanza. Yet, on the day of this decision, the UK Government also launch a New Offshore Wind Sector Deal www.offshorewind.biz/2019/03/06/uk-offshore-wind-sector-deal-out-thursday/ with aspirations of tripling employment in the sector. The new Sector Deal set targets of reaching offshore wind capacity of 30GW and delivering one-third of the UK’s electricity by 2030. Through a new skills package for offshore wind employees, the new deal will aim to increase the number of jobs in the industry to 27,000 by 2030, up from 7,200 today. Elsewhere, BiFab’s Arnish yard, Isle of Lewis, was back to work yesterday as the first steel was cut on a £26.5 million offshore piles contract. DF Barnes said its first contract win since it acquired the Fife-based fabricator would add 82 jobs to the BiFab operation. Air Pollution – all in a day’s work? Enquiries: Graham Petersen: email: gjacoms@gmail.com Mobile: 07879 492339. ¹ TUCAN founding partners are the Greener Jobs Alliance, Hazards Campaign, University and College Union and the National Education Union. ² The Charter is in the process of being finalised but the original document can be accessed here. 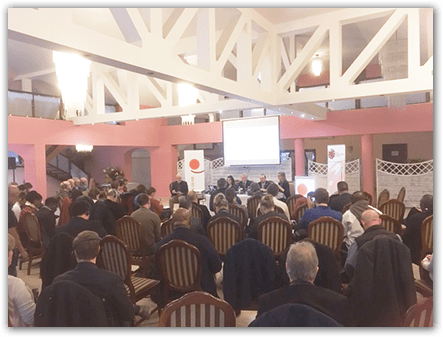 Over 30 people attended our AGM on Tuesday, January 29th, 2019. A wide range of trades unions and environment groups were represented. The meeting combined looking back over the successes of 2018 and planning our activities for the year ahead. The work plan that was agreed identified 2 main priorities. 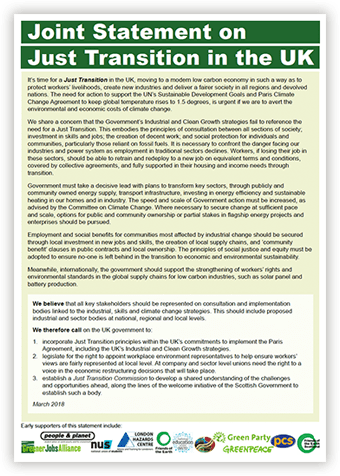 Just Transition: The GJA will continue to press for the adoption of the principles of just transition and climate justice across economic policy. Despite our limited resources – the GJA has no paid staff – we have been able to intervene at international, national and regional level. It is crucial that industrial strategies put workers interests at the heart of policy. A massive effort will be required to ensure that policy makers and employers no longer ignore this. To promote this objective we committed to engage with UK energy unions to support efforts to strengthen the union voice. We will also continue and expand our work with all unions including the TUC. One way to achieve this will be embedding the innovative training programme for union reps piloted with the TUC Yorks and Humber Region. Air pollution: The GJA in all the discussions around air quality has consistently pointed out the failure of politicians and other commentators to address the risks to workers. It has led us to form the Trade Union Clean Air Network (TUCAN) with the Hazards Campaign and the UCU. A Trade Union Charter has been drafted and we will be using this to raise the union profile during 2019 and continue to roll out our air quality training programme. In the ‘open’ section of the meeting we had a presentation from David Powell, Head of Environment and Green Transition, at the New Economics Foundation. David had kindly stepped in because of the unavailability of Chi Onwurah, Shadow Industrial Strategy Minister, due to the BREXIT debate. David highlighted the ‘Green New Deal’ movement. The challenge of the length of the working week and identifying examples of best practice on just transition were key components of this. Sampson Low, Head of Policy at UNISON, outlined 6 key issues for his union. These were the role of public services, particularly for climate change adaptation; Just Transition for energy workers; development of Hydrogen as a low carbon fuel; public ownership of the Big 6 companies; fuel poverty and energy efficiency; and local government ethical investment strategies. In the discussion that followed speakers stressed the importance of all unions prioritising climate justice and industrial strategy. The GJA pledged to support this by producing training materials and supporting conference planning with like-minded organisations. The meeting acknowledged the financial support through the year of Battersea and Wandsworth TUC. We also put on record our thanks to members of the Steering Group who have guided our work during the year. Particular thanks were offered to Rachel Drayson from the NUS who has chaired our meetings but has now stepped down. We are pleased that the role of Chair has been taken up by Quinn Runkle from the NUS. Keeping the Earth’s temperature rise to 1.5 degrees C would need ‘unprecedented changes’ in every aspect of society, the UN’s panel of climate scientists warned https://www.ipcc.ch/site/assets/uploads/sites/2/2018/07/SR15_SPM_High_Res.pdf only last October. In Poland, government’s failed to unite behind that warning, blocked by the US, Australia, Russia, Brazil and Saudi Arabia. Here’s why a Just Transition strategy matters and should inform every national climate plan. The Polish government deliberately chose the city of Katowice to host the UN conference. Katowice lies in the heartland of Poland’s coal mining region, Silesia, where over 80,000 work in mines and coal power stations, and where the taste of sulphur hangs on the air. Across Poland, the unplanned closure of mines, power stations and heavy industry has cost over 300,000 jobs. The lack of a planned transition away from fossil fuels with matching new investment in jobs and skills and consultations with unions and communities, is having exactly the results the ITUC fears: with whole communities left behind, and where in one instance, the Silesian Region of Solidarnosc has signed a joint declaration resisting ‘climate alarmism’ with US-based Heartland Institute. https://www.heartland.org/news-opinion/news/press-release-solidarity-heartland-institute-sign-historic-climate-communique-at-cop24 Heartland is the well-funded climate denial movement cited in Naomi Klein’s This Changes Everything https://www.theguardian.com/books/2015/aug/27/naomi-klein-on-climate-change-i-thought-it-best-to-write-about-my-own-raw-terror. For unions, the most positive outcome was the Solidarity and Just Transition Silesia Declaration supporting our work on climate action at national level. Countries agreed a Rulebook implementing the 2015 Paris agreement into practice. The rulebook covers a wide range of issues such as how countries should report their greenhouse gas emission reductions and who should pay what to help developing countries leapfrog fossil fuels and develop sustainably. Campaigners https://www.desmog.co.uk/2018/12/17/cop24-paris-agreement-rulebook-does-not-deliver-what-world-needs have accused the rulebook of being a compromise favouring corporate interests and countries which have been the most obstructive in the negotiation process. A number of nations https://eciu.net/blog/2018/cop24-saudi-arabia-takes-off-its-trousers, including the EU, Argentina, Mexico and Canada, said they would increase the scale of the emission cuts they’ve so far pledged to their fellow countries. That nations do this is essential if the ’emissions gap’ – the yawning divide between countries’ collective emission-cutting promises and that needed to deliver the Paris Agreement targets – is to be closed. Countries failed to agree on how they will increase their commitments to cut carbon emissions. 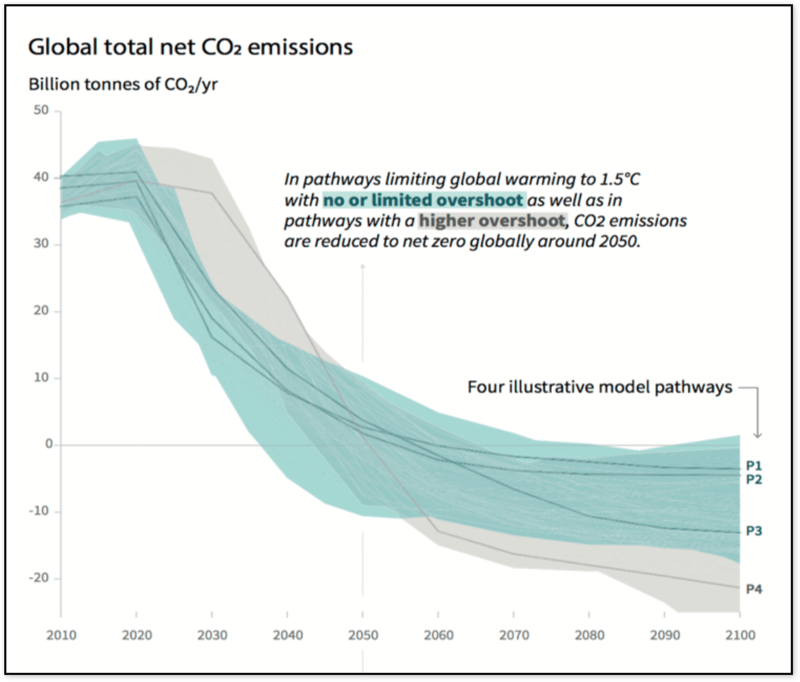 The IPCC warns that we are headed towards 2 degrees of warming and more: ‘With no or limited overshoot of 1.5°C, global net CO2 emissions need to decline by 45% by 2030, reaching net zero around 2050. The IPCC’s findings suggest that as things stand the world has little more than a decade to bring emissions under control and halve them, which would help to stabilise the climate. 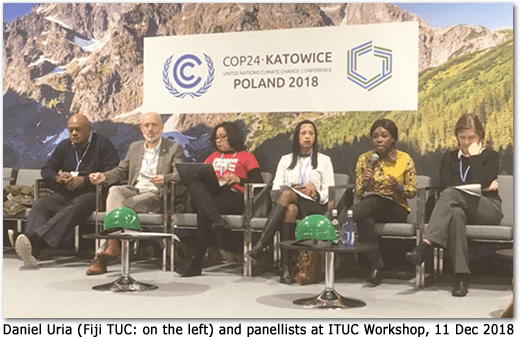 Campaigners Desmog provide a full report on the conference, including the UK Energy Minister Claire Perry’s controversial Side Event. ‘Global heating’ is now a more accurate term than ‘global warming’ to describe the changes taking place to the world’s climate, according to a leading scientist at the Met Office. Keeping the Earth’s temperature rise to 1.5 degrees C would need “unprecedented changes” in every aspect of society, the UN’s panel of climate scientists warned only last October. ‘Far-reaching transitions’ are required in energy supply, land use, transport infrastructure, buildings insulation and industrial processes. Government promises will overload the planet with up to 58 billion tonnes of carbon emissions by 2030, the IPCC says. ‘The market-focused approach to climate protection has failed spectacularly. Using ‘sticks and carrots’ policies aimed at the private sector, governments anticipated a surge of new ‘green growth’ investment that would create millions of good jobs. This did not happen. Climate policy must shift in a radically different direction, and unions can help ensure that such a shift occurs as soon as possible. Growing numbers of unions are already calling for a decisive shift away from policies that push privatisation—including predatory ‘public private partnerships.’. TUED says that unions are increasingly rallying behind the idea of a needs-based approach to climate protection grounded in extending public ownership of energy and its democratic control. Will the Rule Book give unions a place at the table as governments work on their national low carbon plans? Will the basic principles of just transition and decent work be central to their decarbonisation plans? Will there be explicit references to the need to respect Human Rights impacts of climate change, in this the 70th anniversary of the UN Declaration on Human Rights? To take some examples, the right to food, water, decent work, labour and trade union rights and the right of nationhood, as whole societies such as the Small Island States face being overwhelmed by rising seas. Are governments more broadly obliged to consult with all key stakeholders? The eight other ‘civil society’ groups defined as stakeholders to the Paris Agreement on climate change include women, indigenous peoples, environment, young people business and other interests. We will also link you to the final text when it’s available. 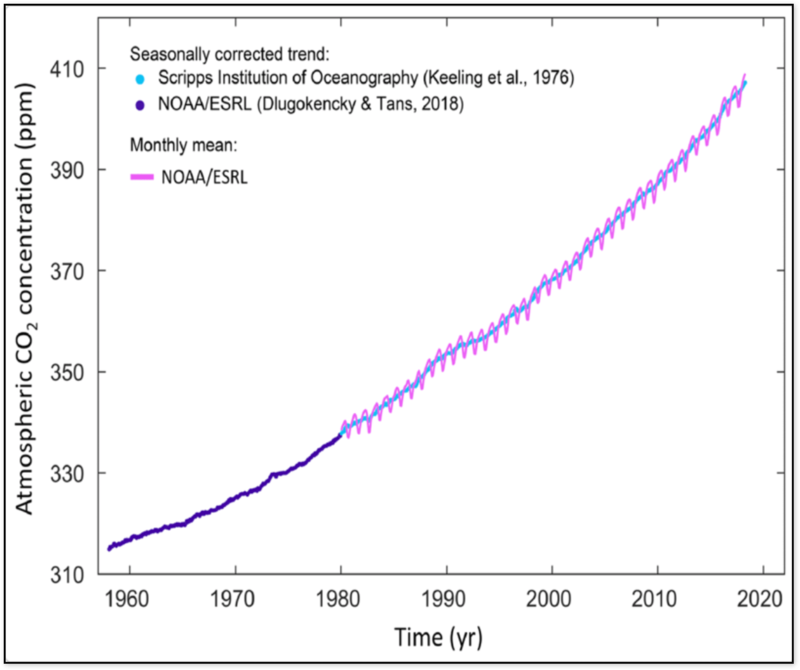 c. How the nationally determined contribution relates to the long-term low greenhouse gas emission development strategy referred to in Article 4, paragraph 19, of the Paris Agreement. d. Sustainable development and poverty eradication, as well as any other contextual issues, such as those contained in the preamble of the Paris Agreement. So a New Year’s resolution for the GJA is to translate the final Rule Book into plain English! But you’ll notice the absence of explicit references to trade unions, just transition and decent work. Item (d) above refers to the Preamble to the Paris Agreement: that’s where the obligations to take account of just transition and human rights can be found, principles that are meant to guide everything the UN and governments do in tackling climate change. Significantly, international bodies representing employers and local government have swung their weight behind the UN Just Transition Declaration. Delegates pointed out that the right to organise and collective bargaining were essential to a fair and Just Transition, and asked Glynn to take these messages back to the ICC. In other contributions: French trade unions lamented the relocation of cement factories to Turkey, to escape paying the 20 euros per tonne price of carbon within the EU. ‘How can we reverse this idiotic situation’, where unions support climate policies but lose jobs. Stronger EU action was needed to impose a carbon border tariff. An ITF transport delegate reported on city wide carbon neutral plans for public transport in Oslo and Vancouver. Zimbabwe unions were working on green jobs and skills strategies. In Nigeria, Unions were demanding remedial action for the devastation of the Niger delta by oil companies, and were working on a national transition strategy. In Europe, the ETUC had welcomed a 4.8 billion Euro fund to support regional investment plans and support for workers and communities affected. This conference is based in the heart of Silesia’ coal mining region, with scores of coal mines and coal power stations. Speaking for Polish union KADRA, Gregorz Trevino said that for a decade unions had worked with the government to support the ‘victims of structural change’ – the 350,000 miners, metal industry and power station workers whose jobs had disappeared. Fuel poverty was also a major issue as energy costs have risen. It was crucial to attract manufacturing jobs into the region. And a programme to insulate 4.5million cold homes in the region would mean a huge job creation programme. In the UK, we reported back on the shop stewards environmental course piloted in Leeds, led by the GJA’s Graham Petersen (see report in Newsletter 18). Support for shop stewards is seen as a key part of the TUC’s regional low carbon plans led by unions in Yorkshire. UK. Chris Scwartz from the Canadian Postal Workers union warned that employers may be tempted to take advantage of industrial change to cut wages and conditions. This issue should be included in union training g programmes. Unions were building alliances for a wide range of purposes, according to reports from our sister organisation such as ‘Green Jobs BC’ in Canada, and the ‘Green & Decent Jobs Coalition’ in The Netherlands. In both cases unions and green NGOs mutually supported their respective labour and environmental demands. From today’s strategy session, you could say there is a great range of union campaigns: strong alliances are being created with environmental organisations. But much remains to be done to focus union capacity on ‘green bargaining’ in the workplace, with union reps trained up to take on employers, and members made well aware of the massive challenge of securing a Just Transition. And secondly, energy policy: a recent TUED reports shttp://unionsforenergydemocracy.org/resources/when-green-doesnt-grow/ how decisively that market-driven energy markets are frankly nowhere near delivering the investment in renewable energy needed. Investors are still massively favouring fossil fuels. Unions need to be thinking about far greater levels of public and community energy investment, which in turn should also strengthen transition strategies to the benefit of unions, their members and communities. 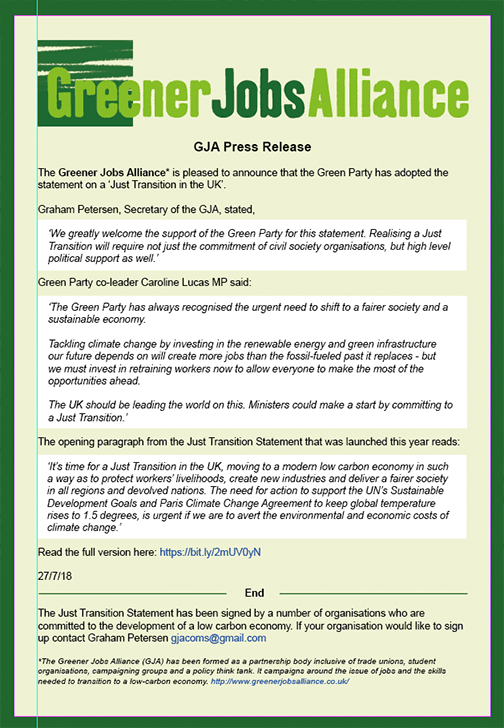 The Greener Jobs Alliance is pleased to announce that the Green Party has adopted the statement on a ‘Just Transition in the UK’. Happy 2018 to all our supporters! GJA will be kicking off the New Year with our AGM on January 15th. This will include a debate with Gordon Marsden, the Labour Party Shadow Skills Minister. The failure of national and regional bodies to get to grips with skills, industrial strategy and union engagement is ever more apparent. We will be pushing hard to make this a key part of interventions at all levels of government. 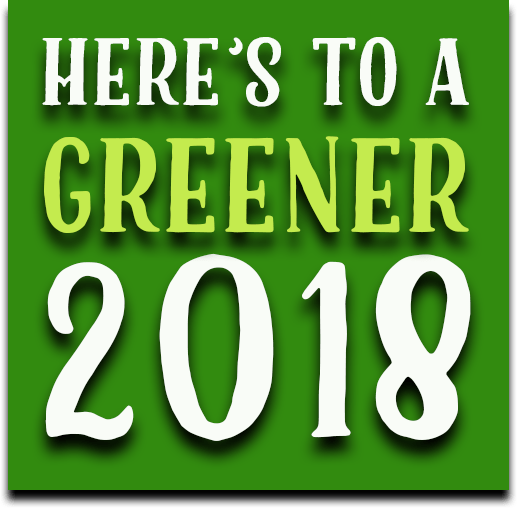 Here’s to a Greener 2018! Unions need to add their voice to the call for action. The legal action was launched just after the release of yet more reports showing that pollution is at unlawful levels in most local authorities in the UK. The GJA calls for employers to take responsibility for the pollution generated by their business activities. There should be a legal duty contained in a new Clean Air Act making it a requirement on large employers to measure the emissions they are responsible for and draw up a clean air plan for their operations. This then needs effective enforcement. For example, construction companies are already under an obligation to show they are controlling pollution yet the lack of enforcement, often caused by staffing cuts, means illegal levels of particulate matter are contaminating workplaces and neighbourhoods alike. The National Education Union NEU) has taken a lead by producing guidance this week in conjunction with the British Lung Foundation. https://neu.org.uk/advice-and-resources/publications/neu-blf-air-pollution-health-advice-school Unions can also put pressure on their local authorities to do more. For example this week Battersea and Wandsworth TUC issued a press release calling on the council to honour its policy commitment of ‘campaigning to national government towards a non-diesel economy’. This has been backed up by a huge citizen science campaign across the borough highlighting the illegal levels of pollution in Wandsworth. Raise Ambition and Realise the Job Potential of Climate Action: COP 23 must deliver concrete emission-reduction initiatives before 2020. Governments must increase national contributions through the 2018 “facilitating dialogue,” which is designed to lay the ground for five-year review cycles. Deliver on Climate Finance and Support the Most Vulnerable: COP 23 must deliver certainty on how climate finance commitments will be achieved. Current contributions to mobilise $100 billion annually by 2020 should be the starting point for post-2020 finance. Commit to Securing a Just Transition for Workers and Their Communities: The Paris Agreement took a first step in securing the commitment to a Just Transition for workers to a zero-carbon economy. But this conference (COP23) must consolidate it by governments incorporating Just Transition measures into their Nationally Determined Contributions, and recommend future work on this issue. Here’s how the ITUC wants to ensure momentum for a Just Transition is matched with political action. Incorporate Just Transition commitments into government’s so-called Nationally-Determined Contributions (NDCs). Governments must explain how they have assessed the employment impacts of their decisions, and most important, the measures they will take to support workers. Some governments, such as South Africa, have already incorporated this in their first NDC. Last week, Graham Petersen from the GJA joined a group of 15 trades unionists from around the world in Brussels. The workshop had been convened by the ITUC to draw up plans for education materials on a Just Transition and Organising in the workplace. Graham did a presentation on Workplace Environment Reps in the UK. He drew attention to the resource materials on the GJA site designed to raise awareness. A full report will appear in the November newsletter. In October 2107, unions in Yorkshire, led by the regional TUC, convened a joint working group with industry, local enterprise agencies and community groups to launch a low carbon transition plan. Yorkshire has the UK’s highest concentrations of energy intensive industries and fossil fuel plants. Meanwhile, in Scotland, Friends of the Earth and a range of trade unions supported calls this year for a Just Transition. The Scottish government responded by committing to set up a ‘Just Transition Commission http://www.gov.scot/Resource/0052/00524214.pdf to advise Scottish Ministers on adjusting to a more resource-efficient and sustainable economic model in a fair way which will help to tackle inequality and poverty, and promote a fair and inclusive jobs market. Megatoothed sharks prowled the oceans, the world’s seas were up to 100 feet higher than they are today, and the global average surface temperature was up to 11°F warmer than it is now. TUC Congress 2017: is TUC out of step with Labour’s green missions? of a green industrial and energy policy. As it stands, the TUC Campaign Plan 2017–18 makes no mention of climate change, energy policy, energy democracy, carbon emissions or the Paris Agreement! Work with the Labour Party for an end to the UK’s rigged energy system to bring it back into public ownership and democratic control. Back a mass programme of retrofit and insulation of Britain’s homes and public buildings. Lobby to demand rights for workplace environmental reps.
Demand a Just Transition strategy and practical steps needed to achieve it as integral to industrial strategy. The motion will be boosted by a CWU amendment that, if adopted, calls for a cross-sector industrial strategy that works towards delivering internationally agreed carbon emission reduction targets. 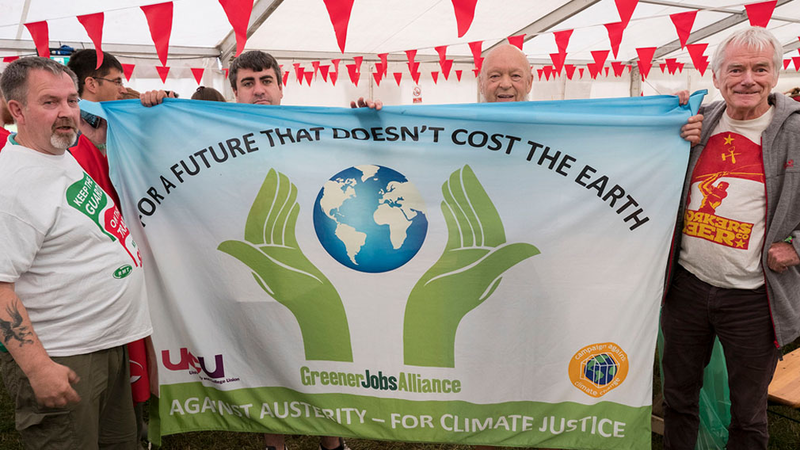 The CWU wants to see a “just transition” programme for those workers affected by the industrial changes necessary to develop a more environmentally sustainable future for all. These demands will surely redirect the focus of the TUC’s industrial and energy policy. Consider where climate breakdown has led us this summer. Hurricane Harvey flattened Houston. Seasonal monsoon rains have swept north western India, Nepal and Bangladesh this year. The UN OCHA are reporting that 41 million have been affected by the floods, with over 900 killed https://www.campaigncc.org/blog. Super Hurricane Irma is heading towards Florida as we write, having wrecked much of the Caribbean. There’s much to welcome in the TUC Campaign Plan 2017–18. It attacks the political upheaval of the past year when living standards have continued to fall. It derides the harmful impact that unconstrained globalisation and years of deregulation, austerity and underinvestment have had on poorer and middle-income communities. It calls for an “economy that works for working people – now, and into the future… We need companies interested in long-term greener growth that benefits everybody, not short-term shareholder returns. But it seems oddly out of touch with the awful realities impacting the globe. It’s strangely silent on the UK’s national and global commitments to tackle our climate breakdown. Where is the desire to boost renewable energy, realise deep cuts in carbon emissions, and a belief in the UK’s international leadership on the Paris Agreement. And without this stuff, What does the TUC mean by ‘sustainable’ jobs? We think that the BFAWU motion will get the TUC back on course for an industrial and energy policy much closer to Labour’s vision, one that genuinely addresses the tough issues of a just transition. And in so doing, further isolates the Tory Party and its bonfire of green energy and low carbon industrial policies. The Greener Jobs Alliance gives a response to the Government Air Pollution Plan published in July 2017 and identifies how union and community activists can respond. No one can say that the Government hasn’t been given a chance to get this right. We’ve had 3 court cases since 2011 all pointing out that the UK is in breach of its legal duty. In May 2017 a consultation document where the overwhelming response was that more needs to be done. 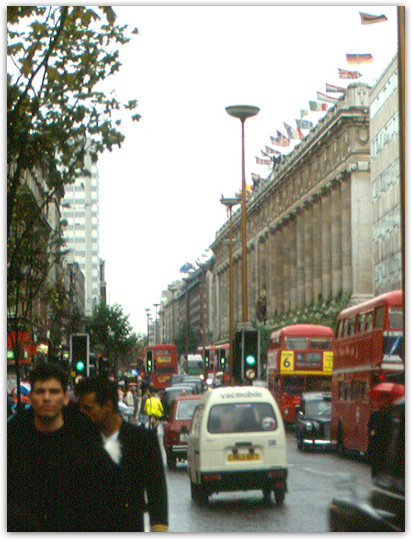 Finally, on July 26th, we got the publication of ‘The UK plan for tackling roadside nitrogen dioxide emissions’. Not surprisingly the ‘plan’ has been panned for failing to tackle this public health emergency. By not adequately addressing what should be done now, rather than in 23 years time, the Government has condemned thousands of people to a premature death. Advocating a ban on petrol and diesel vehicles by 2040 is all well and good, but we needed a clear framework for the urgent implementation of clean air zones before 2020. Other shortcomings are highlighted in articles published following the launch of the report. What happened to the ‘polluter pays principle’? Far from setting out any obligations on employers, the Government plan advocates the exact opposite. We are told in Para 47 that ‘The UK government is clear that any action to improve air quality must not be done at the expense of local businesses’. So much for the principle of the polluter pays. Most air pollution is generated by work-related activities and yet the individual and the state pick up the bill. The need for a focus on employer’s responsibilities makes it even more important that trades unions start to get serious about air pollution. This is a workplace issue and must be treated as such. Defra’s own evidence makes it clear that charge zones are the most effective way to tackle pollution. Yet local authorities don’t have to produce plans until December 2018. Implementation could take much longer and cash strapped councils will find it hard to comply. A campaign is needed urgently to turn CAZs that charge or ban dirty vehicles from a last resort to a first resort measure. They must be coordinated and funded by central government. This is a national public health crisis and requires a national response. Who should pay for this? Large businesses that fail to show effective measures for reducing their distribution/supply and travel emissions. What should trade unions do? Currently, the UCU is the only union with national policy on tackling air pollution. Every union needs to draw up plans for involving their safety reps in making this an occupational health priority. Indoor and outdoor pollution are often linked. Toxic air kills whether a worker is exposed inside or outside a building. It is also an area that lends itself to cross union engagement through trades union councils linking up at a city and regional level with community activists. Unions also need to get involved in consultations over the introduction and implementation of Clean Air Zones. In addition to London, there are 28 other local authorities in England that are required to take local action in ’the shortest possible time’. These are referenced on Page 31 of the report. Unions need to check this list and prioritise how they will respond. Help is at hand. In June, 2017 the GJA launched an on line course aimed at trade union and community activists. It has had a positive feedback and endorsement – see below. June 15th has been designated as Air Quality Action Day. It coincides with the end of the Government Consultation period on their proposals for complying with EU Regulations. If you remember they tried to block publication due to the calling of an election. However, the court judgement went against them and they ended up producing a document that completely failed to address the scale of the problem. Mind you post-election one wonders with the climate change deniers of the DUP and Michael Gove as Environment Secretary in charge whether we would have got something even worse. The GJA has responded to the consultation and you can read our views here. Finally, if you need resources for Air Quality Action Day look no further than our new online course launched a couple of weeks ago. Click here. Defending the Paris Agreement – Now that Donald Trump has withdrawn from the Agreement how has May shown her leadership? A phone call from the prime minister supposedly expressing ‘our disappointment’. Real leadership would have been to sign the protest letter making it clear that the agreement cannot be re-negotiated and condemning the decision. Theresa May’s subservience to the US has led to a failure to provide strong leadership yet again. UK domestic policy -Air Quality is the biggest public and occupational health risk and is covered in one sentence (p.25). ‘Action’ is promised with no indication what that will be. If their proposals in the consultation paper released just before the manifesto are anything to go by then we know it will be very limited. A new Clean Air Act as proposed by the Green Party and Labour Party is not included as an option even though a clear national direction is essential. Energy policy is framed in a strange assertion that it ‘should be focused on outcomes rather than the means by which we reach our objectives. So, after we have left the European Union, we will form our energy policy based not on the way energy is generated but on the ends we desire – reliable and affordable energy, seizing the industrial opportunity that new technology presents and meeting our global commitments on climate change’ (p.23). The manifesto then contradicts itself by focusing on fracking as a way of generating energy even though the reality suggests that it will not be consistent with any of the 3 ends identified. Air quality and climate change finally surfaced as an election issue at the leaders debate on May 31st. Between now and June 8th we must keep exposing both the Government record and their ‘vision’. We need a strong and stable environment and we’re not going to get that from the Tories. Battersea and Wandsworth Trades Union Council (BWTUC) slammed the Government newly published plans to improve air quality as being totally ineffective and that they will utterly fail to remove dangerous pollutants from the air in Wandsworth. The Government were forced to produce an Air Quality plan for consultation by the courts this month.¹ They had tried to use the election as a reason to delay publication but this was rejected by the Court. “If this document represents their vision of how the public will be protected from air pollution it is no surprise they wanted to keep it under wraps. People in Wandsworth are in the front-line of toxic air. We have the most polluted street in Europe – Putney High St. Levels in some parts of the borough show over 2 twice the legal limit of 40ug/m³ for nitrogen dioxide. ² In April, the Wandsworth Guardian quoted a report that showed 29 schools in the borough located in areas exceeding the safe legal limit. Wandsworth Council’s own Air Quality Action Plan identified the importance of a campaign ‘to national government towards a non-diesel economy’ as a priority action. If they are serious about this then the Council should join us in condemning these inadequate proposals. It is clearly now a political issue in this election. The Government have shown they have no effective strategy. This is not strong leadership, it is passing the buck, and relying on a voluntary approach that will not deliver on the scale required. 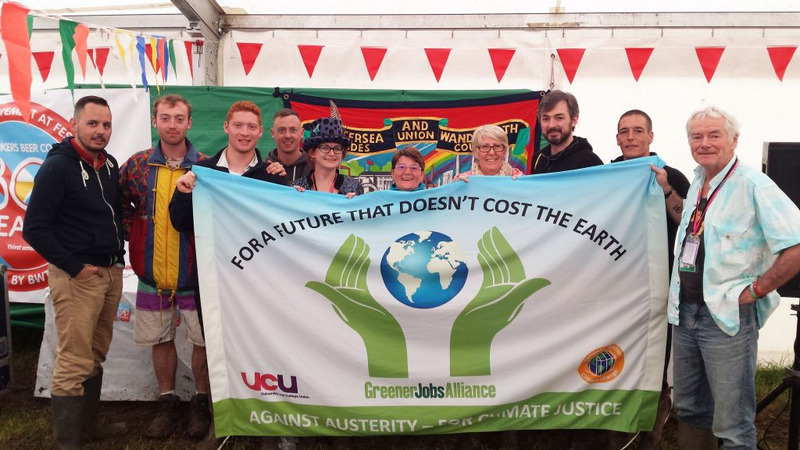 ³ The Greener Jobs Alliance is funded by BWTUC and provides regular updates on air pollution and other environmental issues. On May 27th it will be launching, here on this website, a new set of Air Quality training modules at the University and College Union Annual Congress in Brighton. The GJA Steering Group meeting on May 3rd drew up these demands for political parties to address in the lead-up to the election on June 8th. We think that action on climate change should be central to party manifestos. We hope that GJA supporters can use it when having discussions about the kind of economy and society we want to live in. Good luck with your campaign work and as always any feedback on these demands is very welcome. Keep the Climate Change Act 2008. Stick to the UK’s legally binding commitments to cut harmful greenhouse gas emissions by 80% by 2050 as a minimum. Ensure that UK energy and industrial policy is effectively aligned with the Committee on Climate Change projections and carbon budgets. Trust the people with a massive boost to energy democracy. Support a new wave of community based solar and onshore wind projects with ambitious feed-in tariffs wherever there is local support Lift the ban on onshore wind projects. Support for local authorities to set up municipal energy supply companies. Ban fracking and respect local democracy wherever fracking applications are opposed by local communities. Make education for sustainable development a core priority across the education system. Prioritise research funding that will promote the implementation of the United Nations’ Sustainable Development Goals. Create a million skilled climate jobs: invest in all forms of renewable energy, low carbon jobs and skills, including electric vehicle manufacture, rail investment, and build a full supply chain to make and supply renewable energy technologies in the UK. Create a new Green Investment Bank in public ownership and with full accountability. Use the green bank to support Regional Development Board investment in green energy and transport infrastructure projects. Create a National Climate Service to oversee the transition to a low carbon economy This to include a. Ministry for Climate Jobs, Skills and Social Protection’ to equip the UK to a transformation of the world of work working across all Government departments and industrial sectors. Introduce an Environment Protection Act to incorporate vital European directives into UK law. Commit the UK to retain membership of the European Court of Justice to ensure that our citizens have the same environmental protection rights as all EU citizens, wherever environmental standards are at risk. Introduce a Clean Air Act to tackle air pollution once and for all. Place a clear legal responsibility on employers and businesses to address air quality and develop a network of low emission zones in pollution hot spots. Will Climate Change figure as an election issue? The planned speech quoted in the Independent recently highlights the Conservative’s vision of how the economy will be run. The alternative to Government policies on climate and environmental pollution can be a vote winner. Don’t let the ideology exposed in the quote below win the day. Tim Hitchens, the director general of economic and consular affairs at the Foreign and Commonwealth Office (FCO), will say in a speech later this month that the UK must change its focus to carry out Prime Minister Theresa May’s vision of the country as a “great, global trading nation”. “You have a crucial role to play in posts in implementing our new approach to prosperity against the huge changes stemming from last year’s Brexit vote,” the notes seen by The Sunday Times read. An article in The Times today (15.04.17) reveals new evidence that air pollution is becoming the number one public health issue. It reinforces the need to produce the GJA on-line course due for release next month. This will identify why this is a workplace issue as well as a community one. “Air pollution is a public health emergency and this is the time for action and clear commitments.” says Graham Petersen from Battersea and Wandsworth Trades Union Council. BWTUC will seek to work with political and other civic bodies in the borough, to galvanise support for action by government and others to reduce emissions of pollution harmful to human health and restore clean air in all parts of the borough. 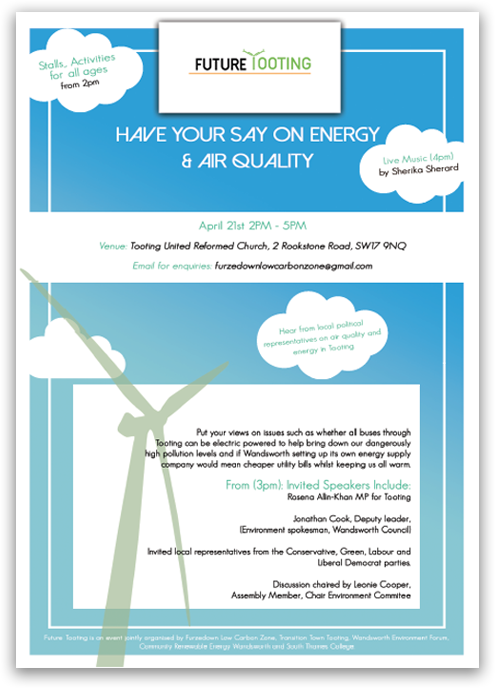 In particular, BWTUC will work with affiliated trades unions to get action from employers to help cut emissions. In 2016 Putney High St had the dubious distinction of being the most polluted road in the whole of Europe. By law hourly levels of Nitrogen Dioxide must not exceed 200 micrograms per cubic metre more than 18 times in one year. In fact, the hourly limit was exceeded over 1,200 times in 2016. In January 2017 the standard was breached 11 times in one day. is calling on Hackney Council’s Pension Fund committee to Decide to Divest 100% of its £42m in fossil fuel shares at its crunch meeting on 29 March at Hackney Town Hall. 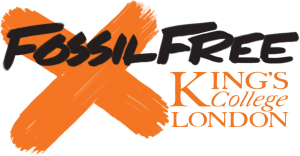 It’s peak campaign time for Divest Hackney, with a petition https://campaigns.gofossilfree.org/petitions/divest-hackney-council-from-fossil-fuels (please sign! ), lobbying councillors in their advice surgeries and technical briefings on why selling all the fossil shares is the most prudent option, for the planet and the Council’s pensioners. As things stand, Hackney Council’s Pensions Committee is proposing at its Town Hall meeting on 29 March to sell just half its £42m shareholding in the next six years – and then review the situation. The 50% target has been set arbitrarily and does not coincide with the UN’s target to limit the increase in global warming to below 1.5 degrees or less. Such a target requires immediate and significant cuts in carbon emissions and polluting industries to avoid dangerous climate change. Glencore Xstrata, BBC Panorama said the company faced charges that its copper refinery in Katanga province, Congo, was dumping raw acid in a nearby river. In the face of determined community opposition, in the Philippines (see photo) the company is investing $5.9 billion the Tampakan copper and gold project in South Cotabato on the island of Mindanao. EOG Resources, a major shale gas driller in the United States. Marathon Oil, acquired several interests in the Alberta (Canada) oil sands projects in 2007. 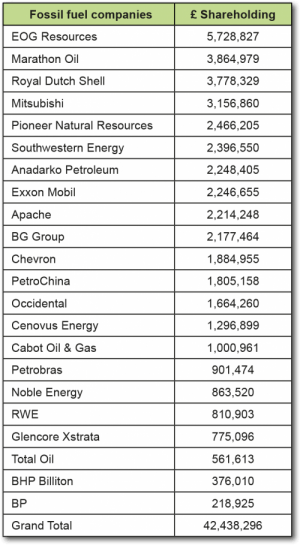 Exxon Mobil, still funding Climate Science Denial groups. Best returns vs the environment? What the council calls a “radical move” to sell off half its polluting shares follows a review which claimed to look at the financial risks posed to the pension fund’s fossil fuel investments in light of the Paris Agreement. “The fund expects to move away from fossil fuel investment in the longer term….We have to ensure that the pension fund receives the best returns possible…” the council concludes. The committee also says that it is putting money into greener investments, including £20m into a ‘Low Carbon Workplace’ fund, which transforms office buildings into energy efficient, low emission workplaces. Obviously, this is a welcome move. But any beneficial investment in ‘low carbon workplaces’ is going to be more than cancelled out by the council’s own high carbon investments. Hackney Council can really do better than this. STUDENT activists at King’s College London celebrated victory yesterday after the university announced that it would divest from all fossil fuel companies within the next five years. An eight-week campaign by King’s College Climate Emergency (KCCE), which consisted of a number of direct actions culminating in a 14-day hunger strike by PhD student Roger Hallam and a 24-hour occupation of the university’s buildings, has prompted what has been hailed as “a significant change of policy” by one of Britain’s most prestigious universities. What do the GJA and Glastonbury have in common?